The Underground Railroad was a secret route runaway slaves took on their escape to freedom. It was neither underground nor an actual railroad, but it did transport many slaves from their slave owners to freedom in Canada. Conductors on the Underground Railroad would often use codes to help the slaves find their way through unfamiliar territory. Some scholars think quilts might have been used to help slaves find their way to safe houses or warn them of dangers in their path. 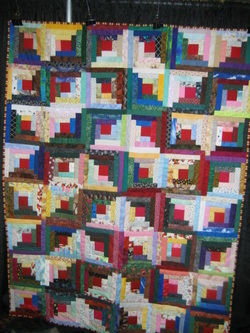 See some quilt patterns that might have been used and try making one of your own at Pathways to Freedom.